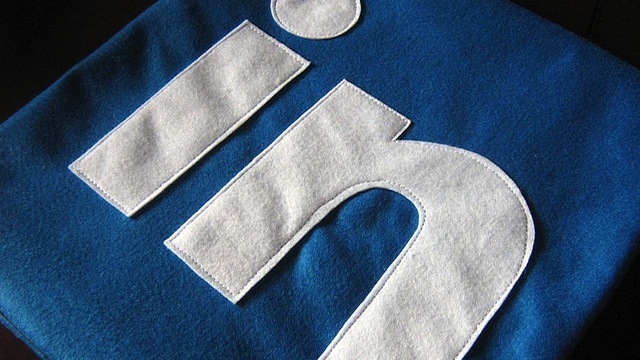 Could LinkedIn’s New Search Improve Engagement? It would seem that discovery is a primary focus for social networks this year. Following Facebook’s overhauled search, LinkedIn announced an enhanced search of its own with auto-complete, suggested searches, and more. Search is already a popular feature on LinkedIn. According to the company, there were more than 5.7 billion searches performed on the platform last year. Today’s updates should help to make the experience more “sticky,” meaning that people will be encouraged to explore the site further, including parts that they might not normally use. Unified Search, as LinkedIn calls it, is part of a larger strategy to improve engagement and time spent on the site — two crucial elements for businesses using the platform for advertising and its premium services. Instead of requiring members to search people, companies, and groups separately, now, by default, searches will be across all of LinkedIn. Now search queries return a comprehensive page of results grouped by companies, people, groups, posted jobs, and so on. This means that people will be exposed to more content and be more encouraged to click through to look at more results. Those searches will also be powered by smarter and stronger algorithms to better guess what it is that people are looking for. To benefit businesses and individuals alike, LinkedIn introduced the auto-complete and suggested searches. The latter will learn from past browsing and search queries on the site to create a customized set of auto-completing terms. For example, let’s say someone is searching for product manager positions. In addition to results for the search, he or she will also find example search queries for people or groups related to product manager as well as a preview of top results to find what he or she is looking for in one click. The more you search, the more accurate LinkedIn’s algorithm becomes. These enhancements, including a revamped advanced search and automated alerts, are rolling out today and will be available globally in the coming weeks. Although the change might not be drastic, it’s very likely that LinkedIn’s new Facebook-esque search could result in more engagement for companies utilizing the platform — whether through advertisements or content discovery.